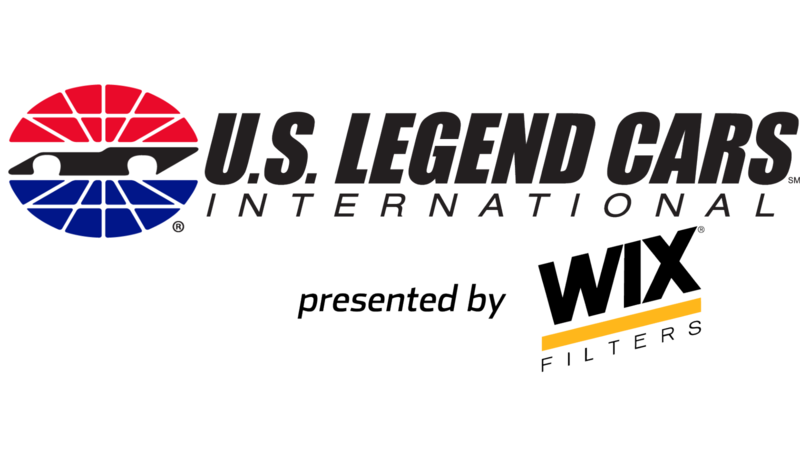 WIX Filters, a world leader in automotive filter products, will act as the title sponsor for U.S. Legend Cars International Legend Car series throughout the 2019 season. The WIX Filters/USLCI partnership of the Legend Car series will be represented at all Speedway Motorsport Incorporated tracks actively running the legend car series including Atlanta Motor Speedway, Charlotte Motor Speedway, Las Vegas Motor Speedway, New Hampshire Motor Speedway, and Texas Motor Speedway. WIX Filters will be working with the entire Legend Car community in the United States, Australia, Europe, and 29+ other participating countries. CONCORD, N.C. (March 13, 2019) - WIX® Filters, a global manufacturer of filtration products for diesel, racing, off-road, agriculture, and industrial applications has joined forces with one of racing's most iconic series, the U.S. Legend Cars International Series to form the USLCI Legend Car Series presented by WIX Filters for the 2019 racing season. USLCI and WIX Filters will kick-off their partnership during the U.S. Legends Cars International Lone Star Spring Battle at Texas Motor Speedway, March 28-31. In addition to the new name, the Legend Car Series presented by WIX Filters will be introducing a "WIX Driver of the Month" at all SMI facilities featuring the legend car program, while highlighting weekly drivers throughout Charlotte Motor Speedway's Bojangles' Summer Shootout. Drivers participating in the series worldwide will also have the opportunity to receive winnings from the WIX Filters Points Fund through participation at all USLCI National Championship Events, including their Dirt Nationals, Asphalt Nationals, and Road Course World Finals. "There have been a lot of positive changes going on at U.S. Legend Cars, and joining forces with WIX is another exciting step," says Jessica Fickenscher, Senior Vice President of Special Projects for SMI. "Both WIX and USLCI are leaders in their respective industries, worldwide. By working together we hope to continue to build upon that success." 2019 marks the 80th anniversary for WIX® Filters who continues to be the number one filter in motorsports at almost every level of racing across the United States and Canada. "WIX is proud to partner with USLCI for the 2019 season. We both know that winning doesn't happen without the best filters," said Jennifer Gibson, brand manager of WIX. "USLCI has manufactured more than 5,500 Legend Cars, so they know the quality and integrity that WIX has come to represent in this industry." From oil, air and cabin air to fuel, coolant and transmission filters for automobiles, off-road equipment, and manufacturing equipment, WIX Filters covers it all. Customers and followers of WIX Filters can look forward to giveaways both on and off the track all season long on their social media channels. Since 1939, WIX® Filters has been an innovator in filtration products. WIX designs, manufactures and distributes products for automotive, diesel, agricultural, industrial and specialty filter markets. Part of the MANN+HUMMEL family of brands, WIX's product line includes oil, air, cabin interior, fuel, coolant, transmission and hydraulic filters for automobiles, trucks, off-road equipment and manufacturing applications. For more information, visit www.wixfilters.com or any of our social channels: Facebook, Twitter, Instagram, Snapchat and YouTube. U.S. Legend Cars International Inc. and INEX are a subsidiary of Speedway Motorsports Inc. (NYSE: TRK) and are the exclusive manufacturer and sanctioning body for the legend car, bandolero car, and thunder roadster. USLCI is the largest race car manufactory in the world, while INEX is the third largest sanctioning body. This series is an attempt to fight the high costs involved in racing, and the rules are strictly enforced to ensure fair competition and cost control. U.S. Legend Cars, International hosts a worldwide dealer network featuring over 50 exclusive dealers across the United States. We've also expanded into over 29 different countries. 01/31/19 Upcoming USLCI Event Info!